Arians are energetic, intrepid, honest and straightforward. 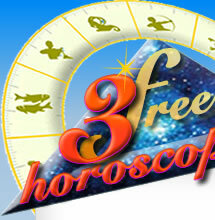 Energy, taking initiatives, boldness and loyalty are the main caracterictics of this sign. They are optimistic, brave and are always ready to face any obstacles. They like challenges, they are passionate and they enjoy quests and adventures. They are stubborn, unstable, they don't think things through and are a little gullable. They also enjoy starting doing new things but they never really finish them. Keywords: Vivacious, brave, straightforward, enterprising, stubborn, initiative, provocation, unstability. 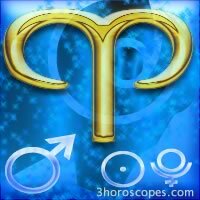 Aries corresponds with the head, forehead and nose. Polarity: Masculine, element: Fire, modality: Cardinale. How many planets do i have in Aries ?